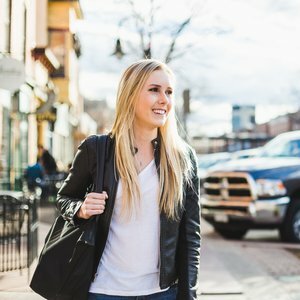 Amari Creative is a Colorado-based studio building brands for passionate entrepreneurs everywhere. Do the colors you use match the feeling you want your brand to convey? Or are they just colors you happen to like? Because there’s a huge difference. Your brand has a ton of ingredients, like font pairings, your logo, and the images you use on your website and social media. But one of the things that will always stand out the most is the colors you choose to represent your brand. They evoke emotion and are the first thing people notice - which also means they’re one of the things people remember most about looking at your website and thinking about your services. Colors aren’t always straightforward, and it can get complicated when you think about tones, color pairings, and the vibe you want to convey. So, how do you even know where to start? Well, this is a good place! And, since this is Brand Color 101, we’ll kick off with the top three colors seen in branding. The color of fire and love is all about desire and intensity. Feeling a red hot brand, but not so into the high energy thing? Tone it down with white space, light contrasts, and texture. Or lean into a different shade, like we did for Men& Inc.
Palm trees and money are two very different things, but they’re both green and necessary in life. Green colors can help your brand cultivate a sense of balance and harmony, and is the foundation of a great color palette for healthy brands like Nourish Nutrition. There’s a reason you see blue used a lot for companies like banks. It’s the color of trust and reliability, which is never a bad thing! Blue is super versatile because of its range of tones - but that also means it’s a popular choice. Feeling blue? Look at your competition and see how many other brands are using it. If it’s a sea, you might want to steer clear. Take Courtney Mulica's brand for example... We stayed away from classic, royal blue and opted for an overcast blue that makes her brand feel welcoming and trustworthy, take a look! *Disclaimer: Colors depend on scenarios. Blue can mean calming, or it can be cool and sophisticated. Think of it like chocolate, which you can have in hot chocolate, as ice cream, or a chocolate bar.. We’d keep going, but now we’re drooling. Point is, it’s all about how you use it, but it’ll always be good. Want help to figure out how you can use color to your advantage or make sure that you’ve picked the right ones to convey your brand? Welcome to Amari Creative! We are a boutique branding and design studio specializing in inventing and building everlasting brands through stunning design, engaging storytelling, and strategic marketing. We will deliver some sweet goodies to your inbox soon! Ali is the one-woman show behind Amari. She is a creative entrepreneur, a mountain dweller, beach vacationer, dog lover, and green chile enthusiast. Ali loves nothing more than bringing her client's visual narratives to life. Want to bring your brand to life? Ready to grow your business? Love freebies? Yeah, we thought so! From a brand growth workbook to a design style quiz, our free resources will encourage you to dig deep into the intention behind your brand’s visuals, voice and vision!